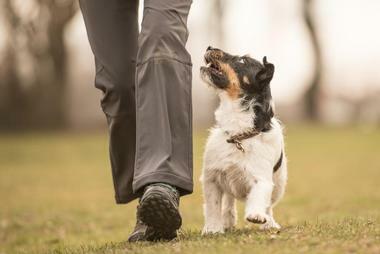 If you're a dog lover or a dog owner, you know that few things are better than fun events that welcome both you and your pooch. 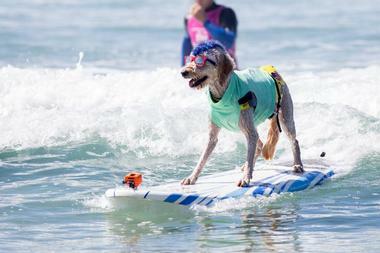 Fortunately, the United States has plenty of dog events to offer, ranging from unique doggie prom nights to surfing competitions to inspiring 5k runs and walks. 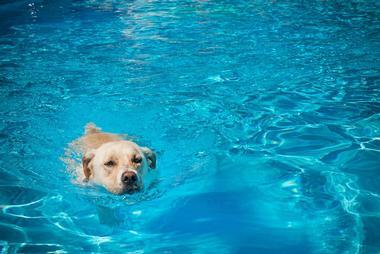 Many of these events also raise money for dog-related charities and non-profit organizations. Held at the Belfast Rail Trail, Paces for Paws is a 5k race that was created to raise funds for dogs at the PAWS Animal Adoption Center. The 5k race starts at eight o'clock in the morning, but runners can check in as early as seven o'clock. 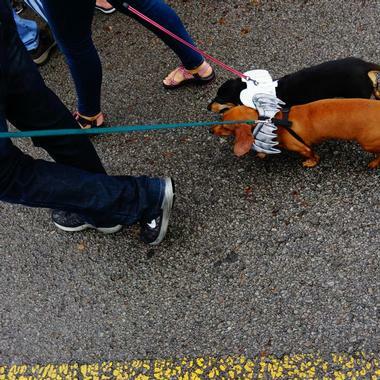 Non-runners are welcome to participate in Paces for Paws as well; a mile-long family-friendly walk begins an hour and a half after the 5k race starts, and participants are invited to come dressed in their favorite silly costumes. 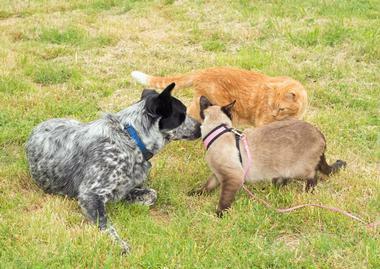 Dogs are welcome to participate in both events, but leashes are required. As you might guess from the name, the Puppies & Patriots 5K Run & 1-Mile Dog Walk was established to raise funds for service dogs that belong to military veterans. There are two different parts of the event attendees can choose to participate in: a timed 5k race and a mile-long dog walk. 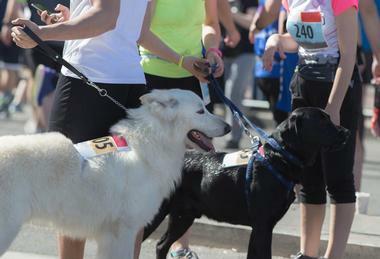 Awards are given to the winners of the 5k race, and all dogs who participate in the race will receive a medal. Participants are asked to register in advance, and anyone who would like to support the cause without walking or running themselves can choose to sponsor someone else. Clarence Bark in the Park is an annual event proudly hosted by the Clarence Lions Club, and it takes place every Memorial Day Weekend. A wide variety of dog contests are held, and prizes are given for everything from most patriotic to curliest tail to best owner look-a-like. There are also plenty of family-friendly activities, including a scavenger hunt, a dog kissing booth, and a raffle. A small donation is requested from each guest; all proceeds to support local non-profit organizations. Every family is given a special welcome bag full of goodies as long as supplies last. 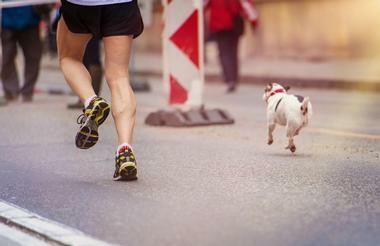 Taking place every year at McFerson Commons Park in the city of Columbus, the Rescue Run is a fun walk and race for people and their favorite furry friends. Owners are asked to keep their dogs on a short leash so they don't trip other event participants, and free dog water is provided. Participants can choose between 5k and 1-mile options; both events take place at the same time and on the same course, but the turn-around spots are well-marked. The race begins every year at exactly nine o'clock in the morning, and race packets can be picked up the day before the race. Held to support the Valley Animal Center, Bark in the Park is the perfect event for anyone who wants to combine their love of baseball with their love of dogs. The event is held in the Fresno ballpark at the end of May, and special dog companion tickets can be purchased by anyone who wants to enjoy the game in the company of their furry friend. Advance tickets can be purchased online; tickets are available at the gate as well, but pet owners are asked to fill out a dog registration form and bring it with them. 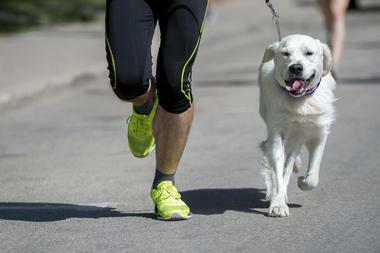 Founded by the Humane Society of Greater Dayton to help bring as many dogs as possible out of homelessness, the Furry Skurry is a pet-friendly 5k run/walk and festival that takes place at the Eastwood MetroPark. Festival activities include live entertainment and local music performances, dog contests, food and beverage trucks, a children's play zone, and more than 30 dog-related vendors. Race participants are all given a t-shirt, a goodie bag, a free pancake breakfast, a participation medal, and free entry to the festival; all other guests are asked to give a small donation. Named in honor of one of the world's most iconic music festivals, Woofstock takes place every June on the beautiful estate of the Americana Vineyards Winery. Live music is played all throughout the day, but there are plenty of other things for visitors to do as well, including children's games, dog contests and events, live auctions, and vendors offering goods and services for dogs and people alike. Food can be purchased from one of the festival food trucks, and excellent wine is available for purchase as well. 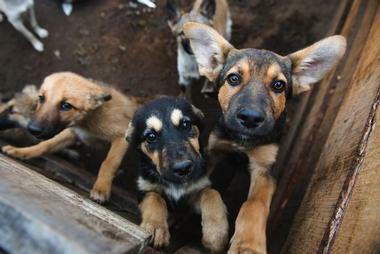 Admission is by donation, and dog supplies are accepted as well as cash. 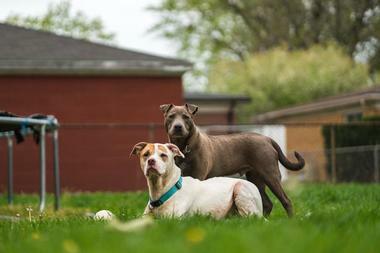 Hosted by VCA Animal Hospitals, PAWS Chicago 5K Walk/Run holds the honor of being the biggest charity walk in the city that's open to both dogs and people. The main event is a 5k walk/run that takes place at the Montrose Harbor, but there are also live entertainment performances, giveaways, food and beverage tents, and activities like yoga and children's games. Everyone who registers and participates will receive a t-shirt; additional prizes and rewards are offered for people who raise $100 or more. The walk and run portions of the event take place separately, and dogs are not permitted on the run portion. Established to raise donations for local non-profits and dog rescue groups, the New England Dog Jog 5K Run/Walk takes place every June at the end of National Pet Appreciation week. 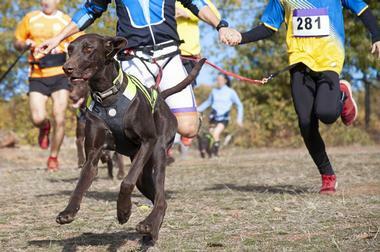 The race is open to both humans and dogs; all dogs must have up-to-date vaccinations and be kept on a leash for the entirety of the race. Early registrants receive free t-shirts, and all pets are given ID tags. Everyone who finishes the race will receive a medal for both themselves and their dog, and additional medals are given to the winners in age and gender categories. The Lexington Humane Society is the biggest pet adoption center in Central Kentucky, and every year it hosts the Mutt Strut to raise money to support its mission. There are two events to choose from: a 5k run that begins at 9:00 a.m. sharp, and a 1-mile walk that starts shortly after. Both events are open to both pets and their owners, and an excellent selection of vendors is set up on-site between 8:00 a.m. and noon so that participants can do a bit of shopping before or after the events take place. Attracting more than 1,500 animal lovers every year, the Seattle Furry 5K & Pet-a-Palooza is held in Seward Park to raise funds for the Seattle Animal Shelter. The 5k event is open to runners and walkers as well as their pets; registration begins at 10 a.m., and the race starts at 11:30. 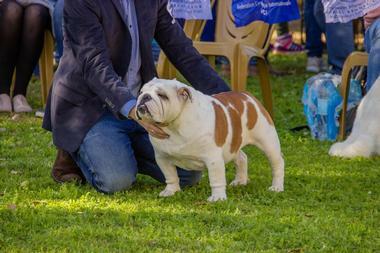 Awards are given to category-winning humans and dogs as well as to the top fundraisers. Non-participants are more than welcome at the event as well; pet-related vendors are open before and after the race, and there is also live entertainment and special dog shows. Created with both dog lovers and beer lovers in mind, Hops and Harley is a dog-friendly event held at the beautiful Fickel Park. All proceeds from the event go towards Harley’s Dream, a non-profit organization that was established to raise public awareness about puppy mills. There is no admission fee, but visitors can support Harley’s Dream by purchasing the craft beer offered for sale or by joining in the 5k run/walk held on the morning of the event. Other activities and attractions include paint classes, food trucks, live music, a farmer's market, and a motorcycle ride. K9 is a unique organization that connects teenagers in continuation high schools with shelter dogs, and Summer Fest is the annual event it hosts to raise awareness and funds for its cause. 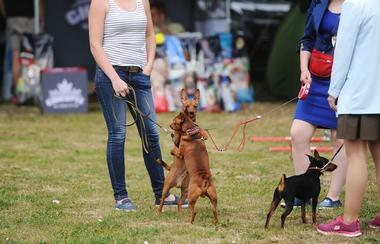 The festival offers a wide range of activities for visitors and their pets to enjoy, including a doggie obstacle course, face painting, yoga classes, and dog massages. There are also plenty of food trucks and vendors selling things for both dogs and humans to enjoy. Tickets for the event can be purchased either in advance or at the door, and additional donations are always welcome. If you're looking for a unique event to enjoy with your furry friend, it doesn't get much better than the Dancing with the Dogs Prom. The evening event supports the Live Like Roo Foundation, a non-profit organization created to help people whose pets have been diagnosed with cancer. An open bar is available all night long, and tasty food is provided for humans as well as for canines. Other event highlights include dancing, raffles and silent auctions, a photo booth, and contests. 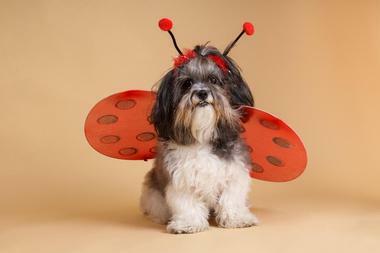 Fancy dress is suggested for both humans and dogs, and tickets must be purchased in advance. 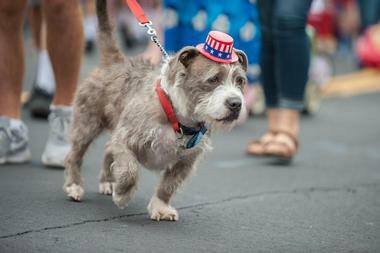 Held every year in the city of Bend, the July 4th Pet Parade & Old Fashioned Festival has been one of the city's favorite annual traditions since the 1930s. The celebration kicks off in the morning with a pancake breakfast offered by the local Lion's Club, and at ten o'clock in the morning, a pet parade starts through the city center; dogs are more than welcome, as are people, bicycles, and even stuffed animals. Once the parade is over, the next stop is Drake Park, where visitors will find children's games, live music, food vendors, and products being sold by local artisans. 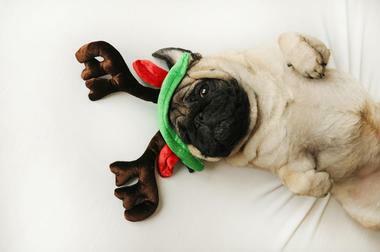 Perfect for escaping the summer heat, the Christmas in July - Dog Park on Ice event takes place every July at the Daytona Ice Arena. Both humans and their pets are welcome on the ice; separate skating times are arranged for large dogs and small dogs, and registration begins at 5:30 p.m. Admission includes a complimentary slice of pizza and a beverage as well as special dog booties for use on the ice. Tickets can be purchased at the door, but advance tickets are available for a lower price until the day before the event. 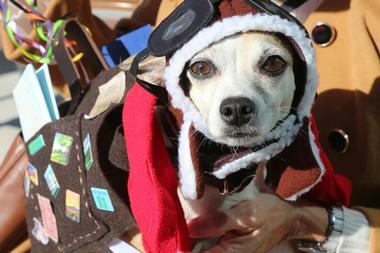 The largest and most exciting dog festival in Cape Cod, Paw Palooza Cape Cod takes place over the course of two days. One of the biggest attractions of the event is a canine watersports competition, but other activities include interactive children's games, doggy massages and facials, raffles, art classes, and educational tents offering information and answers to any questions people have. A small admission fee is charged to raise money for some of the area's biggest and best animal shelters, but dogs and children under the age of 12 are welcome to enter the event for free. First held in 2017, the Summer Dog Barket at Ink is an event held to support MaxFund, an adoption center and animal shelter with a no-kill policy. The event is held at Ink Lounge, a unique local screenprinting studio, and well-behaved dogs are more than welcome to attend as long as they're kept on a leash. Dog portraits done by students at a local art gallery are placed on display, and vendors are set up to sell a variety of dog-related goods and services. Alcoholic beverages are available for purchase, and all profits go directly to support MaxFund. 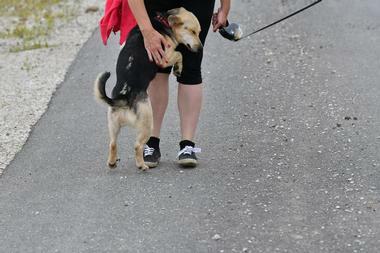 A 5k run open to both people and dogs, the Pup Run Salt Lake-Ogden was established with the intention of promoting responsible pet ownership. The event is held at the Golden Spike Event Center, and both walkers and runners are invited to participate. Registration begins at eight o'clock in the morning, and the race starts at nine o'clock on the dot. Participants are only permitted to bring one dog each, and all dogs must be kept on short, non-retractable leashes for safety reasons. An awards ceremony is held after the race to celebrate the top performers. 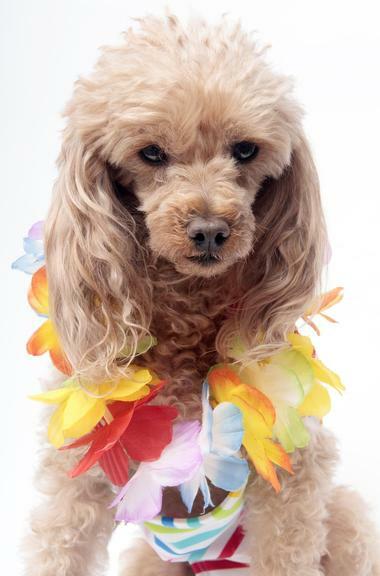 Located at Castaways Bar and Grill on Chicago's North Avenue Beach, the PAWS Chicago Beach Party is an exciting summer celebration for dog lovers and their four-legged friends. Proceeds from the event go to support PAWS Chicago, one of the biggest no-kill animal shelters in the country. An open bar is included in the price of admission, and other activities for guests include live and silent auctions, raffles, doggy spa services, and dinner. The event begins at 6 p.m., giving guests the chance to enjoy the sun before dancing the night away on the beach. Recognized for being the world's first dog surfing event, the Imperial Beach Surf Dog Competition raises money for the San Diego Humane Society. Two separate events take place each year: one is held at the end of July next to the Imperial Beach Pier and another happens in late September at Huntington Beach. More than 60 dogs attend each event to show off their surfing skills; admission is free for spectators, but donations are gladly accepted. Other attractions at the events include a beer garden, food trucks, dog adoptions, and vendor booths selling dog-related products and services. 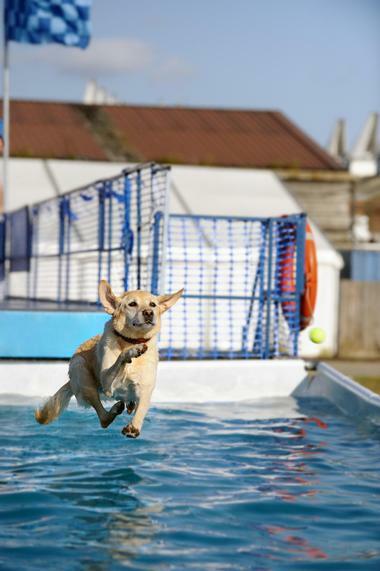 Hosted with the intention of supporting the city of Napa's dog park, the Pooch Party Stroll & Splash is an annual event that takes place at Lakeview Water Park. The event takes place between 9 a.m. and 1 p.m.; a mile-long stroll around the park begins promptly at 10 a.m., and the swimming pool is opened for the dogs once the walk comes to an end. Other activities include a cake walk, dog-friendly vendor booths, and a raffle. 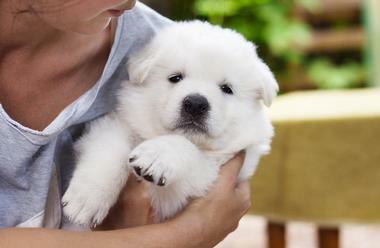 The admission fee is charged per dog, but discounts are given to owners with more than one pet. 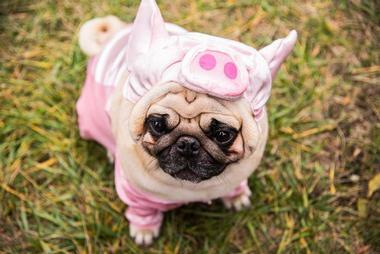 The Somerville Dog Festival is the biggest annual event hosted by the Somerville Foundation for Animals, a charity that was set up to help the community's dogs in as many ways as possible. 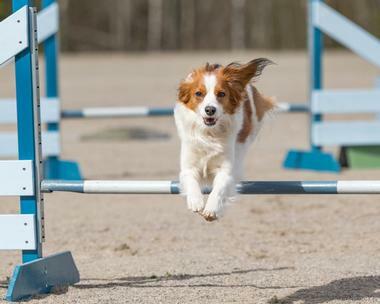 The event welcomes friendly, leashed dogs, and there are plenty of special activities for owners and their pets to enjoy, including contests, dog sports, raffles, and training clinics. Admission to the event is free, but guests are encouraged to support the organization with a donation of money or pet supplies if possible. All proceeds from the event go directly to the charity. 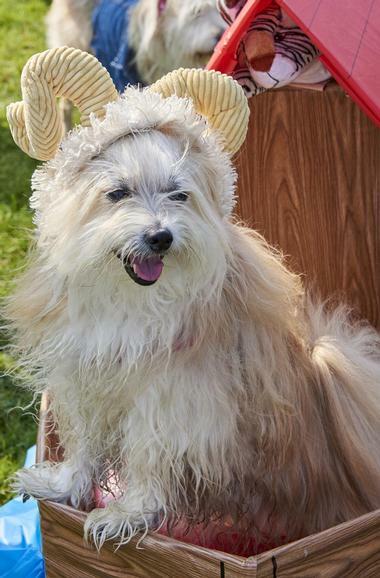 Every year in the middle of September, the Dog Day Festival takes place on the front lawn of Centennial Park in Nashville, giving dogs and their owners the opportunity to gather and enjoy all sorts of fun activities. Highlights include a doggy costume contest, dog training classes, pet portraits, and puppy parades, but there are also non-dog-related aspects to the event, including live music, food trucks, door prizes, and an interactive kids' area. All proceeds from the event go to the Nashville Humane Association, and event guests will also have the opportunity to meet and adopt friendly shelter dogs in need of a home. 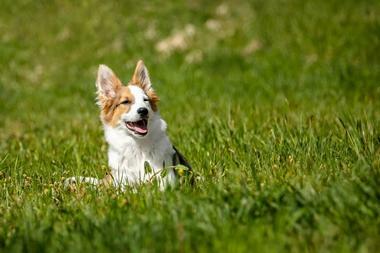 As the biggest dog festival in America, Bark in the Park is a must-do for any dog lovers in the California region. The event has taken place every year since 1996, and all proceeds go to various local pet-related charities and organizations. Plenty of fun activities are offered for visitors of every age; highlights include live entertainment and music, dog costume contests, and children's face painting. 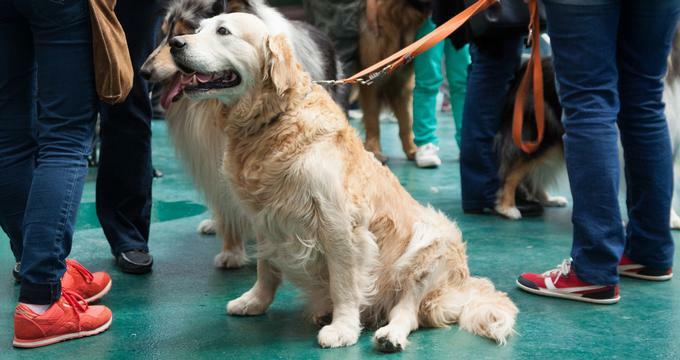 Dog-related vendor booths are set up on site offering an excellent selection of goods services, and information is provided on everything from how to choose the perfect dog breed to how to properly care for your pet.